Autumn 2016 will see Joburg celebrate the sport of kings like it’s never seen it before, with the launch of the inaugural Cell C Johannesburg Polo Classic (CCJPC) in association with Lamborghini presented by Julius Baer. This much anticipated social sporting event will take place on Sunday the 8th of May 2016 and promises a sensational line-up of high-goal polo, fashion, entertainment and a series of luxury experiences that will introduce the City of Gold to an unrivaled international level event. Waterfall Estate, the magnificent playground for this luxurious event, boasts exquisite natural surroundings and is home to the head quarters of Cell C, the proud headline sponsor of the event. The event aligns Cell C with the ultimate lifestyle event, where the best of South Africa is celebrated. “Polo is a sport with global appeal and one that is very aspirational and international. As the fastest growing and most innovative mobile network operator in South Africa, we hope to share the lifestyle of polo with many of our Cell C customers, giving them the sense that they are part of a global community,” says Jose Dos Santos, CEO of Cell C. He adds: “We invite polo enthusiasts to join us for this festival of polo, luxury and unique experiences, against the background of the beautiful Johannesburg skyline”. This brand new annual event is co-owned by long-standing event partners VIVIDLUXURY (a luxury brand communications agency) and Val Die Vie Events, who are also co-owners of the prestigious Veuve Clicquot Masters Polo Cape Town amongst others, and is committed to keep pushing the envelope to offer more cutting edge events than ever seen before in the local market. Inspired to offer unique experiences rather than a duplication of what has even seen before, this polo event dream team is planning a series of interactive experiences on the day such as a Whisky & Watches Gallery, a Cognac & Chocolate Lounge, a Fashion & Jewellery House, a Beauty and Fragrance Cafe, a Luxury Car Showcase (on the polo field) among other things. This will form the perfect backdrop for the world-class polo teams competing in the finale of a grueling 3-day polo tournament culminating on the 8th of May at Waterfall Estate. 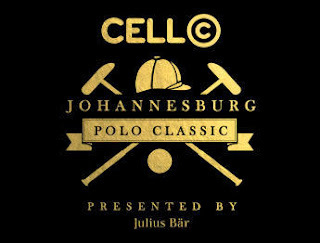 For more information on the event, ticket sales or sponsorship opportunities, visit www.CellCJoburgPolo.co.za, or call 084 JHB POLO.